DMOZ, the fast and easy way to obtain a high-authority link (which was never fast nor easy), is officially closing. Also known as ODP (Open Directory Project), DMOZ is possibly the largest and most comprehensive directories of links to Web sites. It may be one of the most powerful and influential online directories remaining after Yahoo closed its online directory some years ago. DMOZ is owned by AOL and constantly maintained by community of volunteer human editors. The completion of the Open Directory Project marks the end of a period when humans first, not machines, were involved in organizing the global Web. But now its role will come to an end once the site goes offline on March 14, 2017, and in so doing, closing its doors and ceding its attempt to organise the Internet. The news came via a notice that is currently showing on the home page of their Website. Some of you are aware that Google has penalized guest posting. 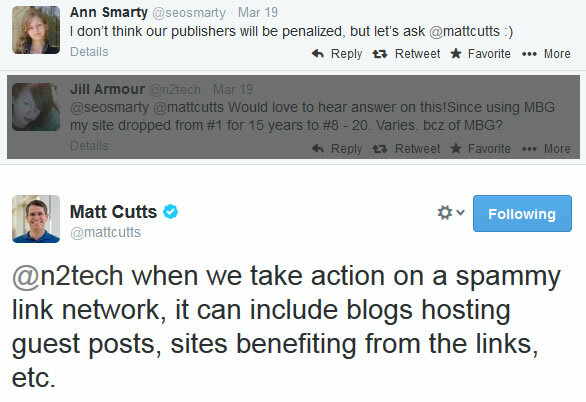 Despite the fact that Matt Cutts clearly stated two or three times Google’s opinion on guest posting, people continued to do it. MOZ specialists, on their forums, were vouching for this method of getting backlinks as being one of the best. Yeah, it’s true, guest posting was one of most-used link-building techniques over 2-3 years. Almost everyone who ever accepted a contributor on his blog must have gotten spammy e-mails from various “SEO-ers” (quotes used with purpose…), all of them containing the same spam: “I have an aaawesomeeee article which fit your niche, blah blah.“Often, that awesome article contained a DO-follow link with no relevancy whatsoever to the article. I am addressing this post to a few web directory owners out there. As we all know, the era when anyone could install a directory script on a $10 shared hosting, import some categories and listings from DMOZ - all these to get a PR of 4-5 - is now over. Or, at least, I hope it is so, just as I hope that the manner in which such people advertised their directories - let's recall the times of 'Best Directory, listing only for $5' - is gone. It is my hope that during the last few years webmasters, small business owners and SEO companies have realized that those directories are nothing but SPAM, and that they all violate Google's Webmaster Guidelines. Google’s New Disavow Links Tool – How Will It Change The Internet? As you may already know, the latest release from Google is the Disavow Links tool. What this absolutely new webmaster tool enables you to do, is, in fact, to let Google know, which incoming links to your website you want to ignore. This tool was highly anticipated, because hints to its launching were circulating around the Internet for months now. Today, the guys from Webpronews wrote an article about the new Disavow tool. Naturally, the first question that comes to mind obviously is: How does the Disavow Links tool actually work and how does it help you, as a webmaster? As I promised a few days ago, in this post, we have worked hard to make Jasmine Directory even better. We have finished with the new layout, which, in my opinion, it’s much more appealing and user friendly than the old one, and now we’re in the process of adding more subcategories to the main ones (e.g. Financial services with a lot of subcategories under the main Business category). The process it isn’t simple because we have to think logically when it comes to these stuff. We have also added a new section, the Regional one. This main category is accessible from the homepage both from the main category list and the new interactive world map located on the second slide. The Regional category breaks down to the six continents, then to countries, and finally to states (USA) or province (Canada). In stage one, we want to create the “bone structure” of the regional category, which means that some continents will not have included all the countries it has (e.g. Africa). This is because we want to keep a minimum level of empty categories. We have even added websites to the newly created subcategories (official, hospital, financial institutions, police dept. websites etc). Have you ever heard of neuromarketing? Advertisement is a big and booming world. It is different from the separate world we attempt to maintain daily with work, errands, and time spent with friends and family. It is a world where people you don’t know are thinking about you and what you want. You could call advertising our parallel universe. We just often fail to remember that it’s there. It’s difficult to believe that many forget about advertising’s existence, due to the fact that it makes an entrance into our lives every day. Not only is it an acquaintance, but it has an impact on our lives as well. In fact, our whole day is met with advertisement after advertisement after advertisement. You may assume this meeting takes place mostly in our physical life. To make that assumption would be very wrong, as advertisement now plays a key role in our internet and social media use more than ever before. Does your site ranking decrease? Be careful, your site may be affected by the google penguin update. Google penguin is a new algorithm which was created to enhance the work of the of google panda. This algorithm was launched on 24 April 2012 to fight webspam. Websites that make excessive repetition of keywords is intended to be easily indexed by search engines. But this is very detrimental to the user because will be read the sentence awkward and seem not informative. Google Inc. made yet another step in crushing duplicate content websites. As part of E-marketing strategies, many online businesses would publish their content to sits like Ezinearticle, Goarticles, and other “online magazine” pages in an attempt to build up their organic page rankings through backlinks. This was a method Google deemed as “cheating the system’. Google recently implemented Meta tags that allow the search engine to distinguish between original and syndicated content on Google News and beyond. As a consequence, this duplicate content strategy became extinct overnight. You may have been heard lately more and more about canonical pages, 301 redirects, duplicate content and… Google. Well, I’m going to write a few lines about what I know so far about canonical pages, usage, and more. As you know Google was always concerned about duplicate pages. You should be also concerned since poor evaluation of your website may lead sooner or later to unwanted results, including Google penalization of some sort.